One-hand operation, easy to feed water. High-quality antibacterial material, FDA approved, lead-free, BPA-free, safe and durable, easy dismantling and cleaning. 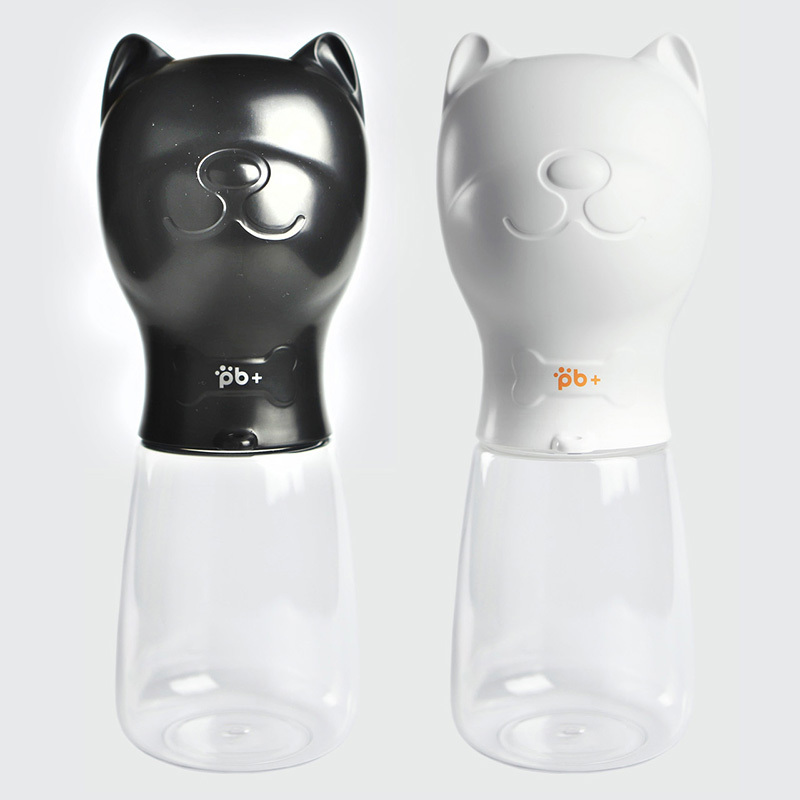 The removable top can be washed and easily attached to larger water bottles. 12 oz capacity, enough for outdoor walking, hikes and traveling. We know how inconvenient it can be to lug around both a water bottle and a doggy bowl every time you go out with your dog. 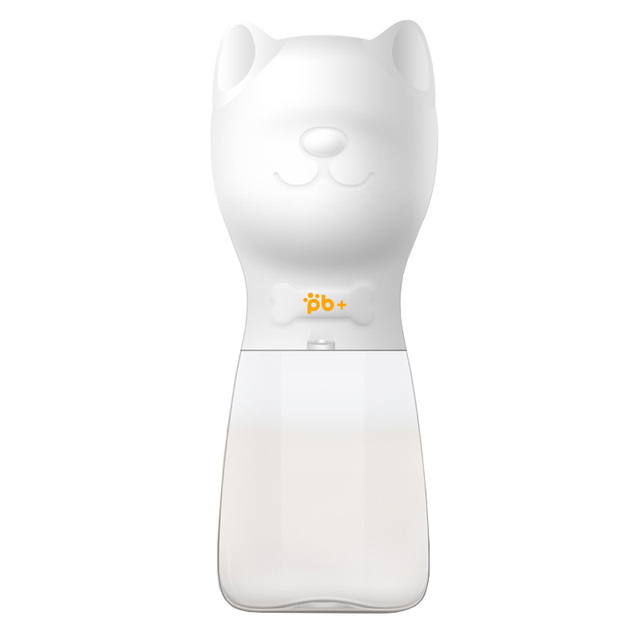 Our PB+ Pet Dog Water Bottle solves this problem! 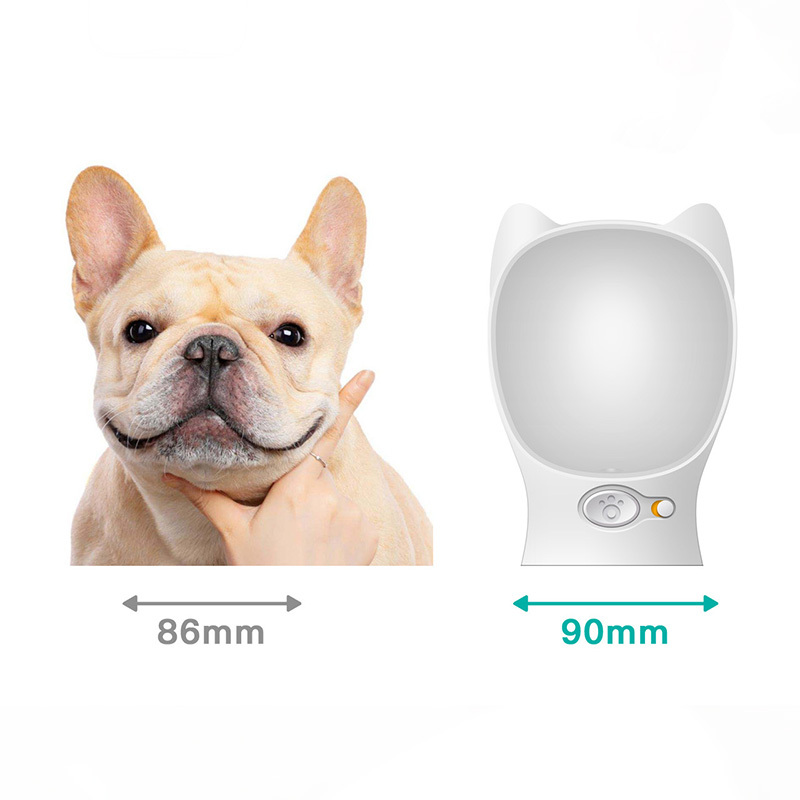 It acts as both the water bowl and the water carrier in an easy to dispense container. 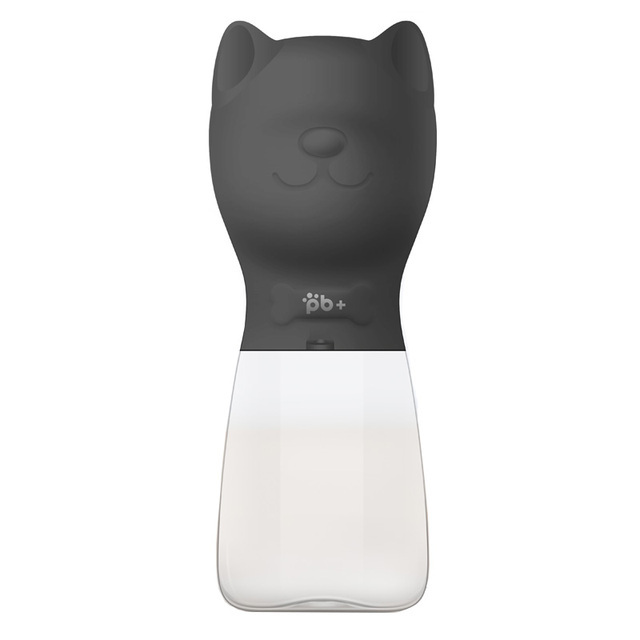 Keep your dog healthy and hydrated with our portable dog water bottle. Get Your Now!! WORRY FREE ADVENTURE — Our compact portable water bottle is great for walking, hiking and just travelling with your little partner. 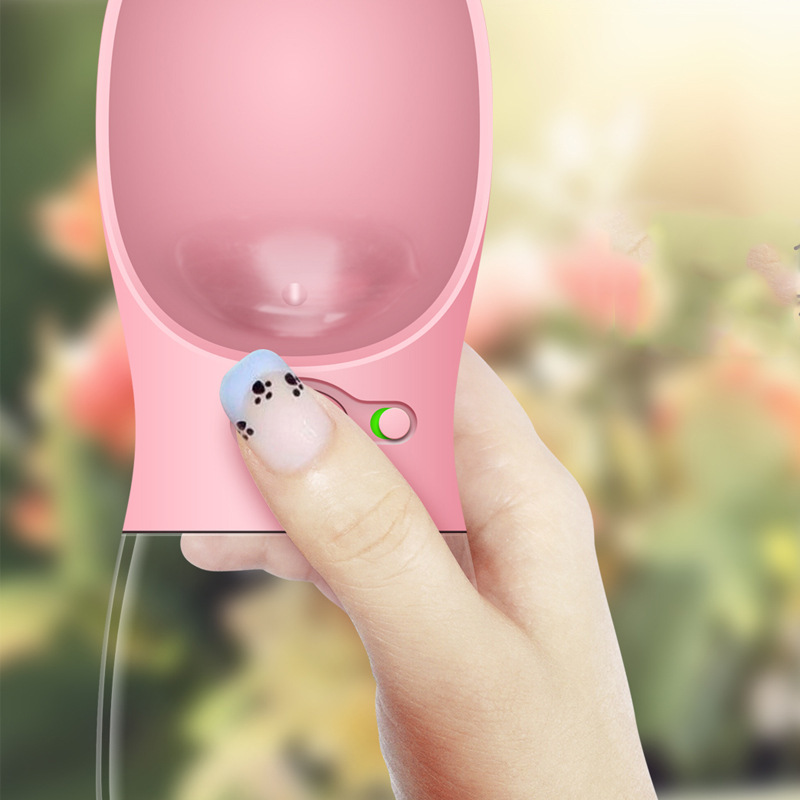 Easy, Quick & CONVENIENT — One-hand operation makes it a breeze to get water to your thirsty pet. 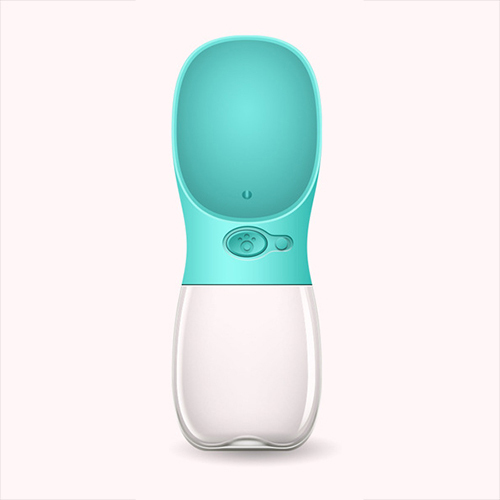 PERFECTLY SAFE — High quality antibacterial material, FDA approved, lead-free, and BPA-free. Safe and durable. LEAK PROOF — Silica gel seal ring, make sure the water doesn’t leak. DURABLE & CLEAN— Removable top can be easily cleaned. 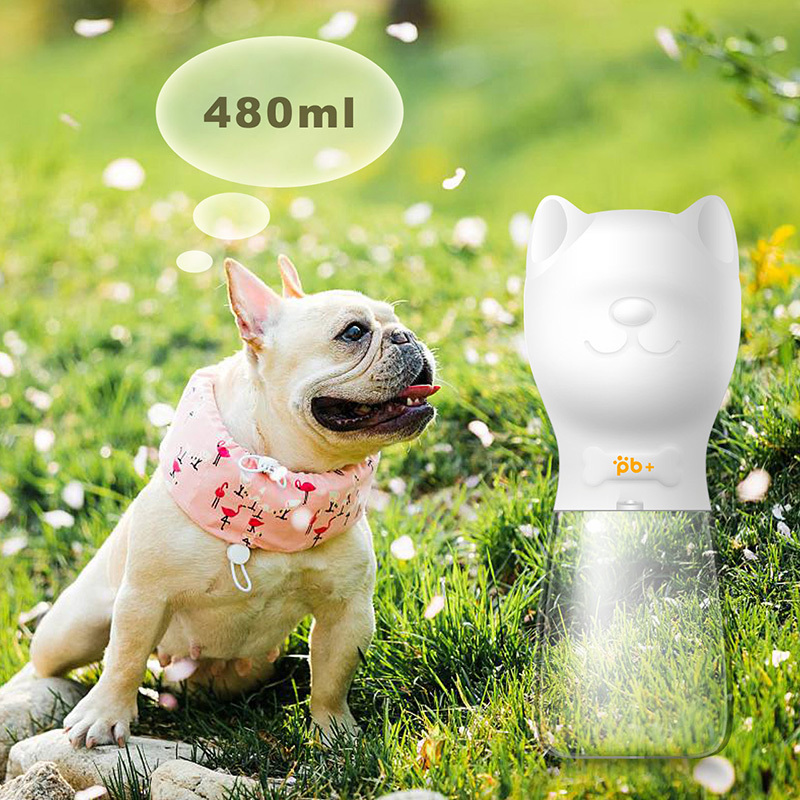 KEEPS YOUR DOG HYDRATED – The water bottles are large enough for any exciting adventure you have with your best friend. Good quality. Very satisfied with my order. Arrived quickly, too. Will definitely be ordering more products from your store. It is exact to the D It is scription. Very happy with the product. Recommend and I think Buy More. Best Buy for my dog! Works perfectly, the campaign with четвероногим friend or a trip thing do irreplaceable! Very convenient bottle! Push Button-tank is filled with water, then so does the water back into the bottle сличается, if needed. Dog of her drinking) Thank You! The quality is great and it works good!